As and Airbnb accident and injury lawyer in Los Angeles, I think that this space sharing service is a great concept but, many property owners who rent space have houses or apartments that can pose a danger for accidents and injuries that should be compensated. Airbnb is available to people who are wanting to travel to Los Angeles, allowing them to see the sights while staying on a budget. This service is to the hotel industry what ride-share services such as Lyft or Uber are to the taxi industry. The business model of Airbnb allows users to post their apartments or homes to rent out to others on the Airbnb site for short-term stays. The site users negotiate their prices and lengths of stay between them. The house-sharing model on Airbnb does pose some issues of civil liability if a guest is injured while staying in an Airbnb rental. Injured victims may have trouble recovering compensation by holding the homeowner or the company liable in a lawsuit. An experienced Los Angeles personal injury attorney may help you to get the compensation that you need to pay for the losses that you have incurred. Airbnb functions as an intermediary between people who want to rent out their homes and those who are looking for places to stay. The company has established an extensive network, offering home shares in 190 countries and thousands of cities around the world. In Los Angeles, there are currently more than 300 home shares available, underscoring the popularity of the service. The rates for Airbnb rentals are often significantly lower than the rates at hotels because of the lack of overhead. Hosts post photographs of the spaces that they are offering and discuss the rental with prospective guests online before reaching a short-term agreement to allow occupancy. There isn’t any way to guarantee that a home that you see listed will be safe. There might be defects that are present on the property, or the neighborhood might be unsafe. If you are injured while staying in an Airbnb rental, liability for your injury may not be entirely clear-cut. When people stay in hotels and are injured because of the failure of the hotels to maintain their properties in reasonably safe conditions, the hotels will be liable for resulting injuries. 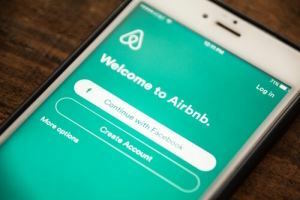 If you are hurt in an Airbnb rental because of unsafe conditions, you might be dealing with the homeowner, Airbnb or the property’s landlord if the person who you are renting from is also renting the home from another. Property owners owe duties of care to maintain their homes in reasonably safe conditions and to warn those who will be staying in their homes about existing hazards. If there is a dangerous condition on the property that the property owner knows about or should have reasonably known about and it injures a lawfully present person, the property owner may be liable to pay damages if the property owner failed to warn the visitor or failed to correct the hazardous condition. Instances of dangerous conditions can include slippery surfaces including floors, tripping hazards and defects in yards or landscaping that can cause trips or falls (such as inconspicuous holes, poor nighttime lighting). Such dangers may also include security issues such as non-functioning locks on doors or windows that lead to break-ins, assaults or batteries. Many other types of property conditions that may lead to bodily harm or even death of the occupant may also be included in what California law considers to be a “dangerous condition” (electrical or wiring defects causing shock, dangerous swimming pools or hot tubs, jagged portions of construction causing lacerations and many others). Dogs on the premises can also pose grave dangers if they are aggressive towards strangers and this results in someone being attacked and bitten. California law holds canine owners strictly liable for any bites despite whether the owner knew of any prior propensity towards aggression. While it might seem obvious in certain cases that the owner should be liable, there may be problems. For example, some homeowners’ insurance policies contain clauses that specifically exclude injuries that occur when people are using their homes for profit. Individuals who operate their homes as bed-and-breakfast establishments, for example, carry additional insurance beyond their basic homeowners’ insurance. If the homeowner has not informed his or her insurance company about the fact that the property owner is renting the property out as an Airbnb, the insurance company may refuse to pay claims made against the policy. The homeowner may still be held to be liable in such a case, but it may be difficult to recover damages from him or her that are sufficient to cover your losses. Airbnb offers host protection insurance coverage to people who rent out their homes on its platform. This insurance may provide a source of recovery if you are injured while staying in an Airbnb rental. The coverage provides up to $1 million for personal and bodily injuries that happen when people are staying in the homes. If the host purchased this coverage, you might be able to recover damages for your injuries by making claims against it. Can Airbnb be Held to be Liable? It is possible that Airbnb might be legally responsible in particular circumstances. For example, if the company failed to adequately screen the prospective tenants or the properties for the presence of dangerous conditions or people, they might be liable to injured victims. Airbnb might also hold some liability if it made false or misleading representations about the properties that listed on its site. While the company expressly disclaims its liability in its terms of service, an experienced personal injury attorney might still be able to hold the company liable if it failed to conduct due diligence appropriately or if it made misrepresentations to prospective renters. While the liability issues involved with injuries during stays at Airbnb rentals might be complicated, it is possible that you might be able to recover damages for injuries that you have sustained as a result of the negligence of the property owner. Contact an experienced Los Angeles personal injury attorney today for an assessment of your claim’s likelihood of success.